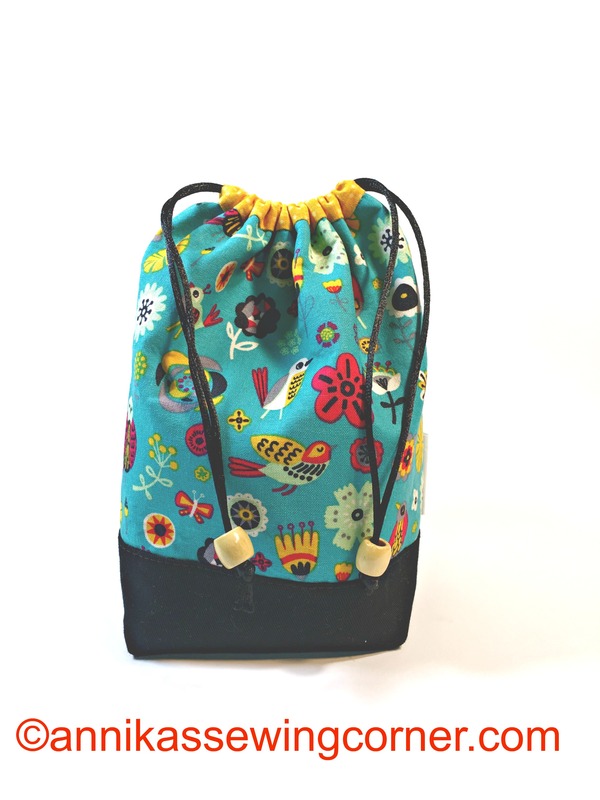 I have made a couple of drawstring bags this week to use as gift bags. I also made a tutorial on how to make them that you can download from my tutorials page and here. 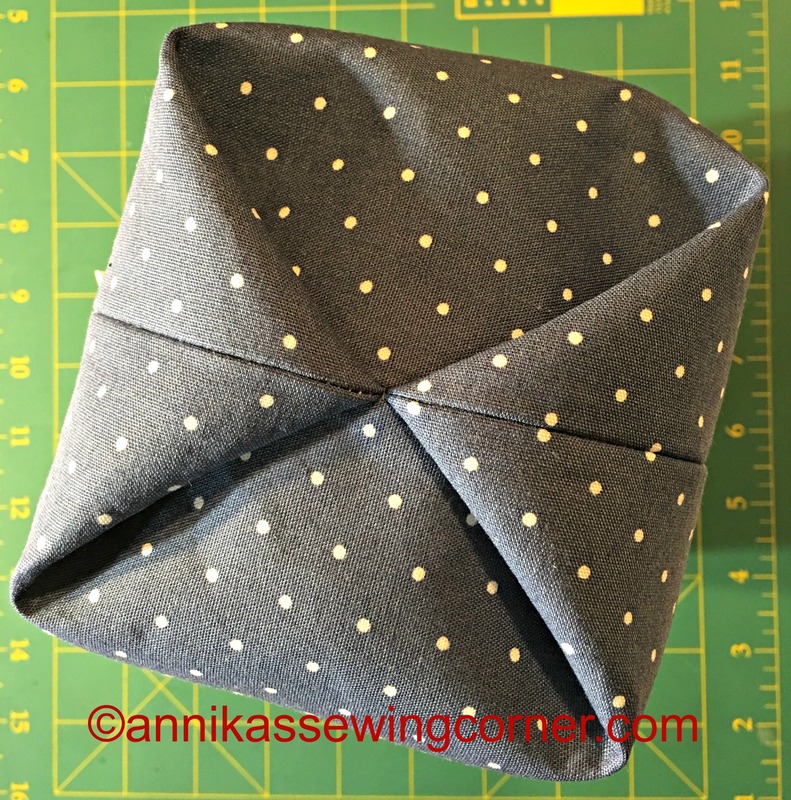 The bag is easy to make and a great project for scraps or fat quarter. It has a square bottom and is quite sturdy. 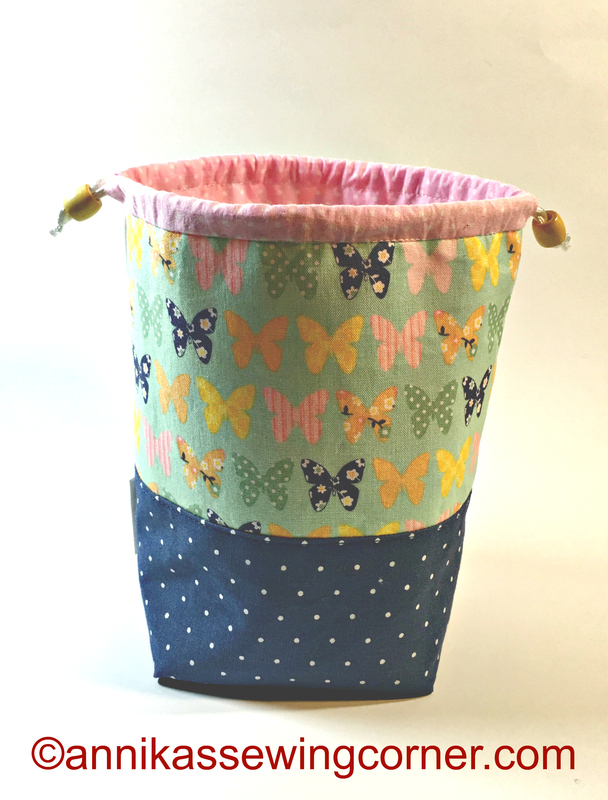 The only materials you need except the fabric is some medium weight interfacing and thin cord or ribbon. Two beads with a wide hole can be used as a decoration on the cord but is optional. The tutorial is for the bag in the top photo but can easily be adjusted to a higher base or just using one fabric. It stands well on its own and it is easy to see in to it. 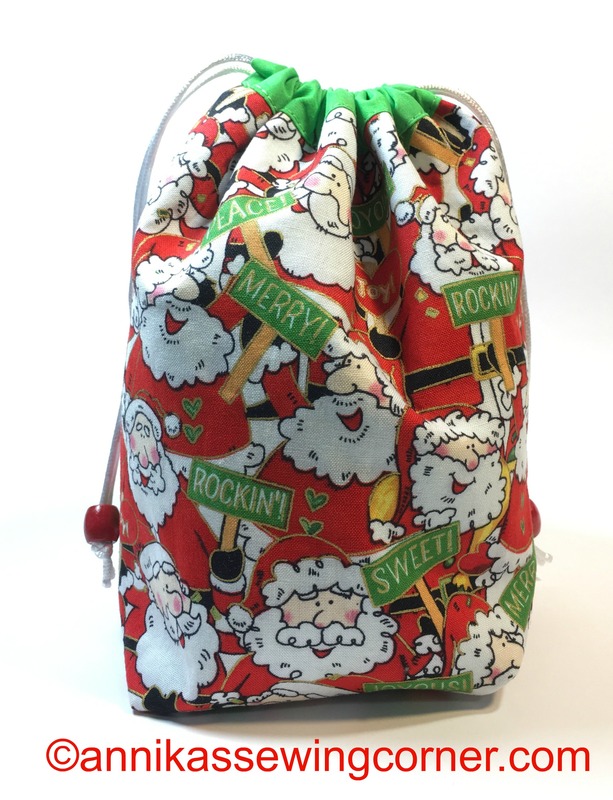 I made one in Christmas fabric for Christmas. I guess if it was made a bit bigger it could be used as a Santa sack. In the tutorial I have made a comment about how to change the size of the bag.